Tom Hall talks with Barbara Scheiber, author of the book "Let's Go to Coney Island Together." The Metropolitan Museum of Art calls the photographer Walker Evans “the progenitor of the documentary tradition in American photography.” Evans is known and admired for his Depression era portraits of people in small rural communities, but it’s a photograph he took in Coney Island in New York in 1928 that caught the eye of Barbara Scheiber of Gaithersburg. Scheiber was about six when the photo was taken. When she first saw it, eight decades later, she recognized the man as her father and the woman he was with as his secretary. It became the cover of her novel based on her family. 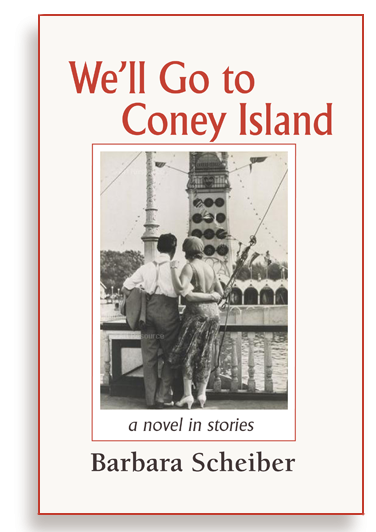 It's called We’ll Go to Coney Island: A Novel in Stories. It's Barbara Scheiber's first novel, published at the age of 92. Tom Hall talks with her about the process of writing the book.